Reports of a plastic-infused rubbish heap the size of France, floating in the Pacific Ocean, is one of many shocking images driving renewed interest in recycling. But mounting piles of bailed plastic waste is evidence of a broken system likely to undermine consumer trust in recycling, never mind exacerbate environmental harm. What can manufacturers do to up their sustainability game and win back consumer confidence? Plastics get a lot of bad air play. The skeletal remains of seabirds and the colourful heaps of plastic they've ingested provide highly emotive images - and serve as a fearful reminder that the same material contaminates the human food chain. And when famed naturalist Sir David Attenborough weighs in, describing the world's oceans as a vast toxic soup, it's clear we're in trouble. The size of the problem is only getting bigger - plastics in the world's oceans are set to treble in the next 10 years. More consumers want to do the right thing, taking cues from recycling symbols to ensure recyclable food containers and packaging end up in a recycling bin. But what consumers don't realise, is that many New Zealand recyclers simply outsource the waste problem further downstream. Many so-called recyclers might be better described as bailers and commodity sellers, who simply send discarded plastic to buyers offering the highest per-tonne price for recyclable material. China, until recently the world's largest importer of scrap, has woken up and decided it is no longer a dumping ground for the world's waste. China's State Council is seeking to "ban importing solid waste" permanently by the end of 2020, in a move designed to hold local and provincial governments accountable to Beijing's efforts "to improve overall environmental quality and ensure a significant decrease in pollutant emissions by 2020." 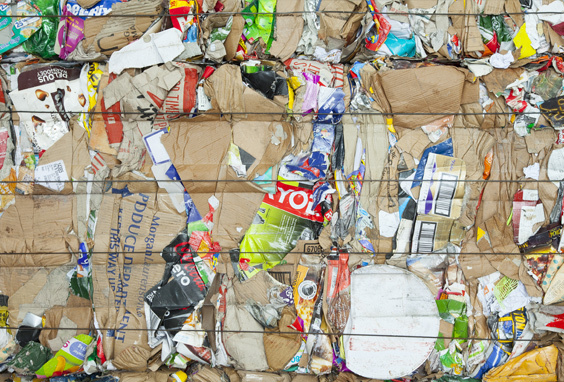 The announcement spurred a collapse in recyclable commodity prices for waste and a tightening of controls across other principal markets for recycling in Southeast Asia, including Thailand, Vietnam, and Malaysia. Thousands of containers bursting with recyclable material are piling up on wharves, with many abandoned now that their cargo is valueless. It's clear that New Zealand has to deal with more of the plastic waste we produce. So what can we do? Addressing the problem of plastic waste requires a broad-based approach that spans both front-end minimisation of plastic-based manufacturing inputs, and end-of-life-recovery, within a closed system. We call it a sustainable circular economy, which a number of our customers have embraced, to help shrink their environmental footprints. The idea puts manufacturing inputs, particularly plastic packaging, in the spotlight. A critical evaluation of plastics in your business sheds light on their role in waste and recycling, uncovering opportunities to modify plastics inputs - perhaps even spurring a change of suppliers - to ensure waste from end-of-life plastic offers the raw material for new manufactured products. Confidentiality agreements prevent me from identifying specific customers who have adopted processes that underpin circular waste management, but let me broadly outline two examples that EnviroWaste has helped architect and manage. Plastic bottles represent a significant chunk of recyclable material, but not all plastic bottles are equal. Sourcing bottles with the right plastics classification ensures their suitability as raw materials for our plastic extrusion plant, at which point discarded bottles are reconstituted as new packaging. This means the investment customers make in procuring the right kind of plastic bottle, and its disposal, helps subsidise the creation of plastic packaging for new retail items. We've completed similar projects for bulk bags and cardboard. The approach creates a genuine circular economy, whereby local manufacturers create valuable points of difference by offering more sustainable products that are cheaper to package. 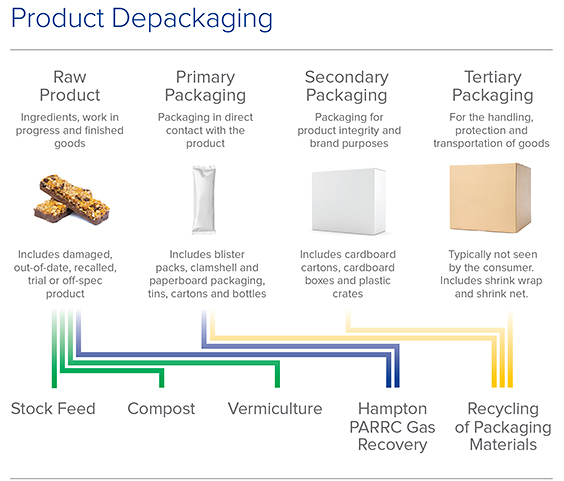 Equally, suppliers of plastic packaging that satisfies the demands of sustainable product manufacturers are also part of this virtuous loop which, in turn, distinguishes their own packaging solutions. 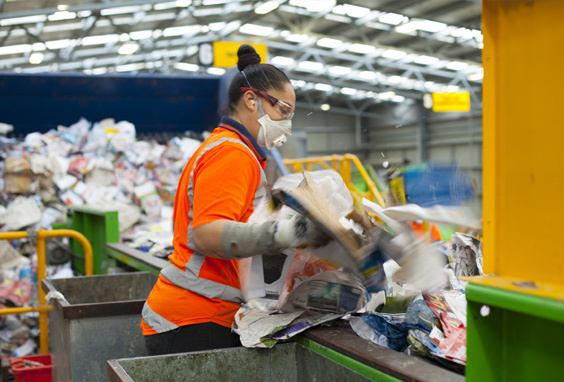 Sustainable or circular waste recovery and reuse shapes a number of customer initiatives geared to reaching zero waste to landfill by 2020 - an ambition that fits in principle, if not time-line, with Auckland Council's zero-waste by 2040 vision. Pictured, recycling being sorted at the EnviroWaste operated Materials Recovery Facility in New Plymouth. Seventeen thousand Auckland households have been invited to try our new on-demand green waste collection service that makes disposing of garden waste as easy as ordering a ride on Uber. 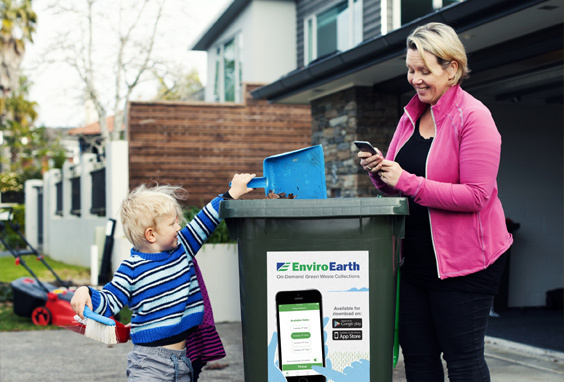 EnviroWaste's smartphone app, called EnviroEarth, enables householders to order a 240 or 360 litre wheelie bin for their garden waste, and book and pay for its collection when they want it emptied. The green waste is later transported to our facility in Hampton Downs, where it is 100% composted. Free to download through the Google Play Store or the App Store, EnviroEarth is designed to give users more control over how they manage their green waste. Householders already use smart phones to order services and buy things when it suits - so why not garden waste removal? The EnviroEarth app also removes many of the bugbears of a household green waste collection, including fixed-term contracts, upfront costs and inflexible options for bin collection. Instead, the app allows customers to pay a one-off fee each time they book a green waste collection. Initially available to residents in Auckland's Remuera and Eastern Bays, we are gearing up to extend the service to other Auckland suburbs later this year and, in the longer term, to regions around the country. The launch of the new app comes after Auckland Council unveiled its Auckland Waste Management and Minimisation Plan 2018 for managing waste to achieve zero-waste by 2040. The EnviroEarth service fits nicely with this objective. For more information about the EnviroEarth green waste service visit www.enviroearth.co.nz. Two-thirds of New Zealand's rivers are too polluted for swimming and half our lakes suffer the ill effects of contamination. Pointing the finger at farmers or even the Resource Management Act won't change things. It's time everyone took their responsibilities more seriously. The next time it buckets down in Auckland cast your eye seaward. At certain points along the coastline you'll see sediment plumes take shape as giant oceangoing clouds. 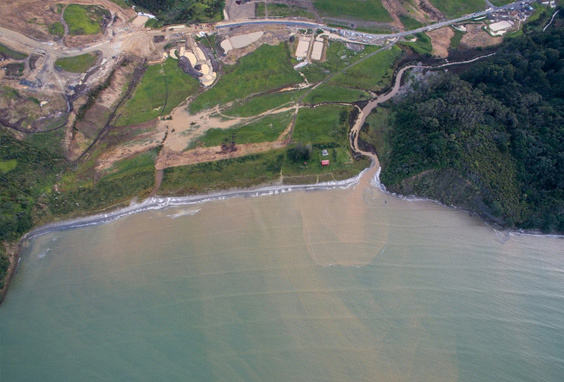 The hills surrounding Weiti Bay on Auckland's Northshore provide a good vantage point, to witness the ugly side effects of run-off from large-scale urban developments that are lashed by rain. Stand under an umbrella long enough and you'll see a plume grow ever larger, as sediment from a local housing development is released into the northern end of the Long Bay-Okura Marine Reserve - a designated area of outstanding natural landscape and a significant ecological area. How is this allowed to happen you might ask, when council monitoring has shown the developer operates within its resource consent. Auckland Council says the pollution can't be stopped - it can only be managed under the Resource Management Act, which prompted one councillor to query the state of systems, both legal and technological, supposed to stop the pollution. It's easy to point the finger in cases like this, especially at the agriculture industry, when so many of our coastal regions and low-lying rivers and lakes are in such a perilous state. Every industry must take a hard look at its practices if New Zealand is to reverse the harm we're doing to our waterways. And with three-quarters of Kiwis either very or extremely concerned about the pollution of our waterways, action must go further than simply double checking activity to ensure it satisfies conditions under the Resource Management Act. We've got to demonstrate that we're doing right by our environment. Positively, the brightening spotlight on New Zealand's dirty water problem is delivering the desired response, with many businesses now re-evaluating their approaches to water management. Back in Auckland, the growing number of cranes that clutter the city skyline are the tell-tale signs of a construction boom in full flight. With so much of Auckland's CBD and current development located near the coastline, adopting smarter water management practices is critical to minimising the environmental impacts of construction projects and keeping our beaches and waterways swimmable. Excavations fill with ground water and rain water - and even seawater. With works needing to continue in all conditions, these excavations must be dewatered quickly while remaining compliant with the site's discharge consent. 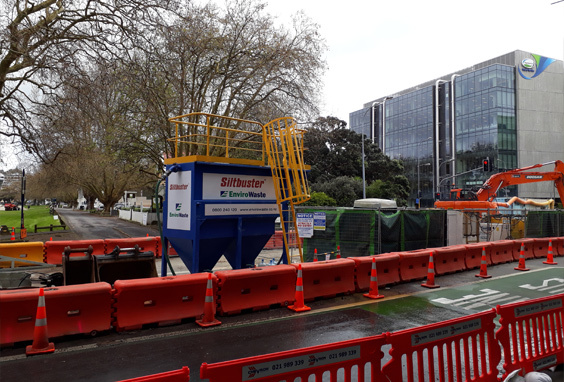 Adding to the pressure of water-logged site management is the frightening spectre of being outed and shamed as the source of a filthy plume contaminating the Viaduct Basin - Auckland CBD's major tourist hub and gateway to the Waitemata Harbour. Conscious developers have keenly embraced smart technology to keep them compliant and ensure they do the right thing for our water systems. At a number of these sites you'll find EnviroWaste's Siltbuster lamella plate clarifiers hard at work. A lamella plate clarifier is a piece of technology that uses a series of inclined plates and patented flow control systems to capture and remove suspended solids from the water. EnviroWaste's Siltbuster HB50 units provide water clarification for a range of applications for re-use on site, and/or discharge off-site - either to the natural watercourse or to a wastewater system. Developers I've spoken to praise the technology, highlighting both the compliance side of water management, and site productivity - work continues as they dewater. The baffle tanks that developers once used, no longer measure up in today's more regulated, environmentally aware construction industry. The volume of water processed by each HB50 unit depends on the nature of the solids suspended in the water, but generally has a recommended hydraulic capacity of 50m3/hr, or 14litres/sec. 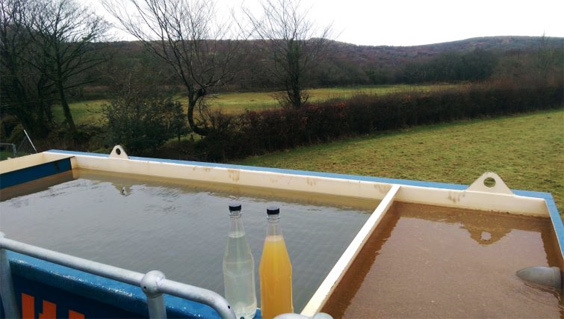 And while that's too small to process run-off from major rain events at large-scale developments, like Weiti, Siltbuster technology can be paired with sludge sedimentation ponds to provide polishing of the site discharge waste. Intensified agriculture and dairy farmers cop the most flack for sending New Zealand's clean green brand down the drain, but everyone needs to do better. If Kiwi dairy farmers can spend over a billion dollars to combat river pollution and help improve the health of many our waterways, it's time other industries stepped up their game too! EnviroWaste was delighted to have the opportunity to take the Hon. Eugenie Sage, Associate Environment Minister, on a tour of our Product Destruction and Resource Recovery facility in Auckland. Food and packaging waste is an unavoidable by-product of the food manufacturing industry, but fortunately solutions are now available to recover and reuse this waste. Diverting edible or salvageable food to food banks and food rescue programmes should be at the top of every food manufacturer's list and where this isn't possible, food waste may be converted to animal feed after recovering and preparing the packaging for recycling. Complimentary alternative uses such as composting, vermiculture (worm farming) and energy recovery are also finding favour with food manufacturers looking to unlock further value from their food waste. Drawing on our expertise and innovation, we are helping many food manufacturers overcome the complexities in introducing or improving their sustainability programmes. Our secure de-packaging facility, together with specialist infrastructure and processes, address all points of product and packaging recovery, effectively closing the loop on waste creation and reuse, allowing food manufacturers to achieve better results for the environment - and their business bottom line! 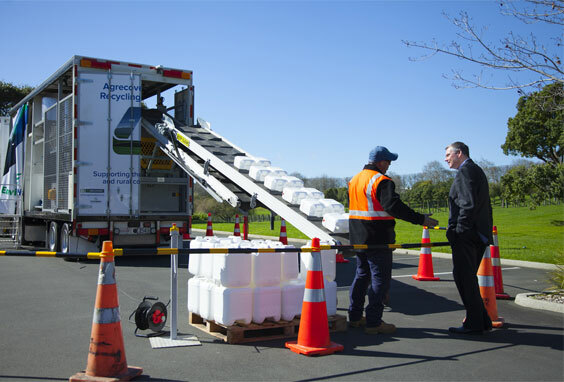 Minister Eugenie Sage commented that, "It is great to see a company working with a range of leading New Zealand businesses to divert significant volumes of waste from landfill, by finding innovative ways of dealing with all sorts of materials including packaged, expired food. Waste audits, reporting and advice are all part of the toolkit." Read more about EnviroWaste's innovative Product Destruction & Resource Recovery facility by clicking here. 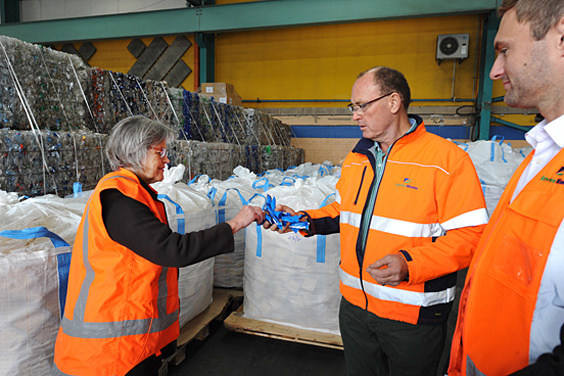 Above left to right: Minister Eugenie Sage with Spring Humphreys and James Rutter of EnviroWaste, at our Product Destruction & Resource Recovery facility in Auckland. Food and packaging waste is an unavoidable by-product at all points of the supply chain, from the farm to the factory to the muesli bar in your school kid's lunchbox. When food and packaging end up as waste, valuable resources are lost. But signs in New Zealand's food industry are pointing the right way, as food manufacturers introduce sustainability programmes to meet the challenges of population growth, competition and consumer demand for new products. Even so, industry's embrace of practices to extract value from waste is still evolving, as food manufacturers balance adopting new solutions, that are not necessarily costlier than waste management practices followed today, into their already complex businesses. Diverting edible or salvageable food to food banks and food rescue programmes should be at the top of every food manufacturer's list. When that isn't possible, food waste can be converted to animal feed. More recently, composting, vermiculture (worm farming) and energy recovery have found favour with companies looking to unlock further value from their waste. So what's the catch? Like food manufacturing itself, waste recovery and reuse is a complex business blending science, technology, logistical support and a network of industry relationships. Food manufacturers accept that they can't do it alone and look to experts like EnviroWaste to bridge the gap between waste creation and recovery solutions. Today, raw food products and ingredients rejected on the basis of damage, out of specification, recall and past use-by date, provide the necessary ingredients for EnviroWaste's stock-feed, composting and vermiculture operations. Irrespective of advances in waste recovery, everyone should dwell on the adage that prevention is better than the cure - that generating less waste in the first place is better than managing it. Still, when imperfection is a permanent characteristic of the creation process, and as consumers demand new products, waste is here to stay. But one thing is clear: manufacturers who adopt solutions for their waste will achieve better results for the environment - and their business bottom line. 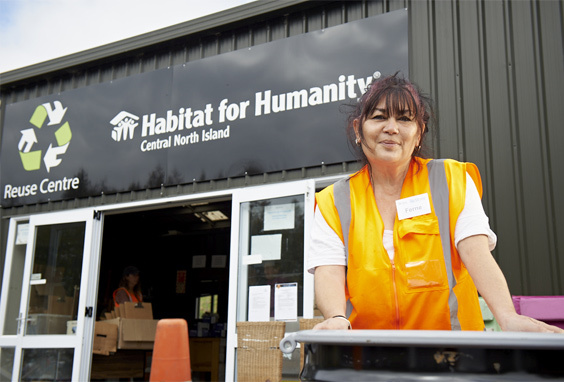 Waste diverted from landfill in Taupo will now help raise funds for housing outcomes, thanks to a partnership between Habitat for Humanity Central North Island and EnviroWaste. The housing charity and the resource recovery specialist have joined together to make the most of operating a Reuse store, at the Taupo Landfill Centre. Habitat for Humanity Central North Island General Manager Nic Greene said the Taupo Reuse store was the first of its kind in the region operated by Habitat, and was an "important and emerging form of social enterprise". "All funds raised by Habitat in the region go towards helping people with programmes including critical home repair, our operation of social rental and pensioner housing, and assisted home ownership" Greene said. "This new opportunity to divert reusable items at the point of landfill - in addition to the recycling work already done at the Taupo Landfill site by EnviroWaste - is win-win for both organisations," Greene said. "It means less volume to landfill - and local people now have the opportunity to shop for household and construction items knowing every cent goes towards housing need." Greene said the Reuse store would be taking donations of goods from people who were visiting the site for recycling or waste disposal reasons, or who wanted to donate household items, seven days a week. He also encouraged Taupo locals who hadn't been to the site for a while to make a trip to visit the new Reuse store. "We've got everything in there now, from clothing to furniture, and would be pleased to take donations of quality used goods from any local businesses that share our vision of a world where everyone has a decent place to live." Greene said that with a large network of stores, Habitat could "effectively take the pain away for companies that need to ethically dispose of items that they might have replaced or renovated on a large scale." Whanganui's New World supermarket has diverted 97 per cent of its rubbish from landfill and is now earning money from its waste. Take a moment to watch our EnviroNZ company profile video to discover some of the fantastic things we're doing with waste, and to learn a little about our people and what we do. Follow this link and click the Watch Video button. An aerial shot of our organics plant at Hampton Downs. 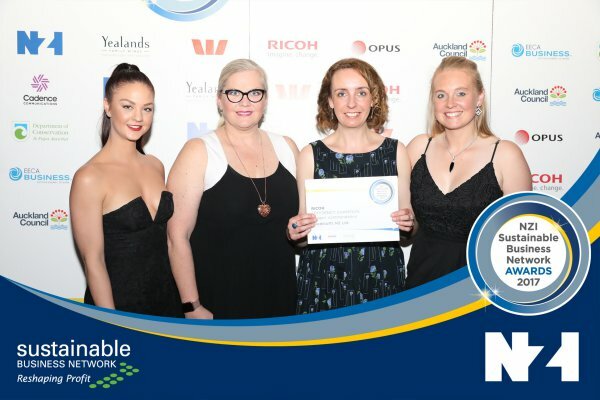 Congratulations to Foodstuffs NZ Limited for winning the Efficiency Champion award, at the 2017 NZI Sustainable Business Network Awards, for a waste minimisation programme managed by EnviroWaste. Foodstuffs, New Zealand's largest retail grocery organisation, has implemented a waste minimisation programme with a holistic approach to waste. The company aims to maximise diversion of waste from landfill, with targets of 80% diversion for stores after 12 months on the programme, and 90% after 24 months. For the 12 months to May 2017, the average diversion rate across stores on the programme was 82%, which equates to over 30,000 tonnes of waste diverted from landfill. Food waste comprised a third of this tonnage. The equivalent of 2.7 million meals were donated to food rescue organisations. To achieve this, EnviroWaste manages the separate collection of up to 10 different waste streams from stores. In addition to the more 'traditional' recyclables such as cardboard, plastic wrap, co-mingled recycling and mixed paper, there is a strong focus on solutions for food waste. This includes food good enough to eat but not to sell, and wastage from food preparation or foods past their use-by dates. The programme is constantly evolving. The recent focus has been on developing partnerships with food rescue organisations, and facilitating the recovery of food to help people in need in preference to animal feed or reprocessing. Pictured: From EnviroWaste is Kerri Hinton (second left) and Anna Kersley (far right) receiving the award alongside Foodstuffs' representatives. Associate Environment Minister Scott Simpson is sending a strong message of support to help New Zealand's rural recycling programme meet an ambitious target to clear more waste. The minister announced his decision to extend accreditation of Agrecovery as a product stewardship programme at an accreditation ceremony in Auckland yesterday. "This is a vote of confidence for our scheme which, since 1 July, is being solely managed by the Agrecovery Foundation," says its general manager, Simon Andrew. Since the programme commenced, Agrecovery has diverted 1,800 tonnes of plastic from landfill or from harmful disposal practices like burning. But Andrew says this is not enough and aims to boost recycling efforts to clear 60 percent of farm containers and drums by 2020. "This is a significant increase on the 40 percent we are clearing today," he says. The accreditation coincides with the launch of innovative, state-of-the-art equipment for collection of plastic from the agricultural sector nationally. Purpose-built mobile shredding units were developed by EnviroWaste Services Limited - the organisation charged with collecting the used chemical containers and drums across the country. The first of two mobile shredding units were unveiled at Agrecovery's accreditation ceremony. "By introducing this new technology to collect used containers, EnviroWaste will help drive greater levels of participation in recycling for the rural sector." The shredders have a greater capacity, a quicker processing time and are much quieter. "This allows EnviroWaste to respond quickly, especially in the busy season, where farmers and growers are returning lots of empty chemical containers and drums," says Andrew. Farmers and growers are able to drop off empty plastic containers, free of charge, at 74 drop off points across New Zealand through the programme. For those with high volumes, on-farm pick-ups can be arranged. Agrecovery also offers farmers and growers free disposal of large drums and unwanted chemicals. Plastic containers being conveyed into the shredder unit while EnviroWaste Driver/Operator, Greg Carter, explains the process to Minister Simpson. The Government's Waste Minimisation fund has granted $1.25 million to support the upgrade and recommissioning of EnviroNZ's plastic extrusion plant in Christchurch, Associate Environment Minister Scott Simpson announced today while visiting the site. The plant was originally acquired as part of EnviroNZ's purchase of Christchurch-based Mastagard in 2014, but had been mothballed since 2012. "This funding will enable EnviroNZ to carry out polypropylene recycling. The company will install additional bulk fertiliser bag processing and storage equipment, such as a shredder, wash plant, blowers and silos. "By establishing essential infrastructure in New Zealand to recycle the used bags, EnviroNZ will help reduce the quantity of woven polypropylene bulk fertiliser bags currently being disposed of on farms." To date the collected bags had been baled and stored, waiting to be exported offshore. Now they will be able to be processed onshore once the upgrade and re-commissioning of EnviroNZ's plastics recycling plant is completed. "It's exciting to see EnviroNZ working with other New Zealand companies to recycle these bags in an environmentally safe way, and at the same time provide a primary source of material to another industry. Recycling and minimising waste is a key strategy for protecting New Zealand's environment for future generations." The Government's Waste Minimisation Fund was established in 2009 and is funded by a levy of $10 per tonne charged on waste disposed of at landfills. Over $80 million has been awarded to more than 130 projects to date. 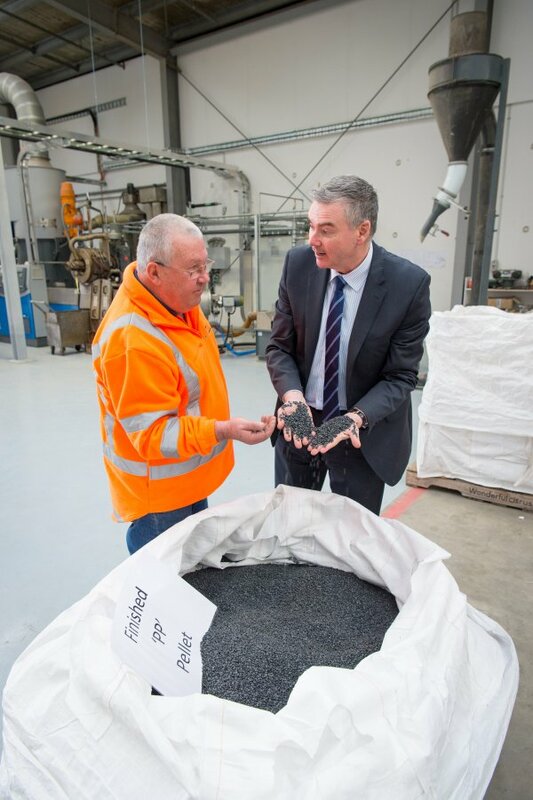 The Minister Scott Simpson (right) holding the finished polypropylene pellet. Too often, the words "sustainable living" and "landfill" are diametrically opposed. However, as New Zealand's population ticks over 4.7 million, the humble and often derided landfill provides critical infrastructure to support the great lifestyle we enjoy within our communities. The number of landfills in New Zealand has reduced markedly over the last 20 years. Back in 1995 there were 327 local landfills and today there are less than 50. Landfills perform an important role for New Zealand by providing an environmentally secure means for the disposal of residual waste. There is a growing appreciation that waste is a resource and more materials are being recovered from the waste stream than ever before, with science and technology being used to recapture the value from these discarded materials. Furthermore, recent legislation (Waste Minimisation Act 2008, Climate Change Response Act 2002 and the Emissions Trading Scheme) provide additional drivers for greater waste minimisation and protection of the environment. Waste volumes are linked to population and economic growth. When there is high GDP, waste generation typically outgrows waste recovery operations (hence, there needs to be an emphasis on not producing waste in the first place). Consequently, there is a continuing role for landfill disposal of residuals in our society. Landfills are no longer considered to be part of the linear disposal model but now are part of the circular model where wastes are stored long term until economic to be recovered. Landfill mining of historically disposed resources is now a growing trend across the world and recovery of landfill gas and its conversion to power is a common practice. At EnviroNZ we believe in protecting the environment and minimising the use of non-renewable resources. We are actively involved in building circular solutions with our clients. Together with Foodstuffs, we are proud to have jointly won the 2016 WasteMinz Excellence Award for Best Project or Initiative in the Commercial or Public Sector. The initiative is the Foodstuffs waste minimisation programme designed to divert 80 to 90 percent of their stores' waste materials away from landfill and into ten recycling streams. The programme is currently operated at approximately 100 stores nationwide. In the year to 30 June 2016 more than 23,500 tonnes of waste materials were repurposed and recycled. Even with all the good work being done, there is still residual waste arising from today's communities, commercial businesses and industries. It is regarded as residual waste because it is unable to be treated, recycled or recovered cost effectively (or energy efficiently). Its complexity, heterogeneity and randomness (both in quality and quantity) challenge the cost effective processing of this stream. As residual wastes arrive at the transfer station and/or landfill, any materials that are easily and cost effectively removed are recovered. What is left is disposed to landfill for long term storage. The challenge is to recover whatever is useful during this storage period. Landfills have successfully managed the secure storage of residual solid waste in an environmentally responsible and cost effective manner for many years. There has been considerable technological advancement in landfill engineering and operation over the past decade. 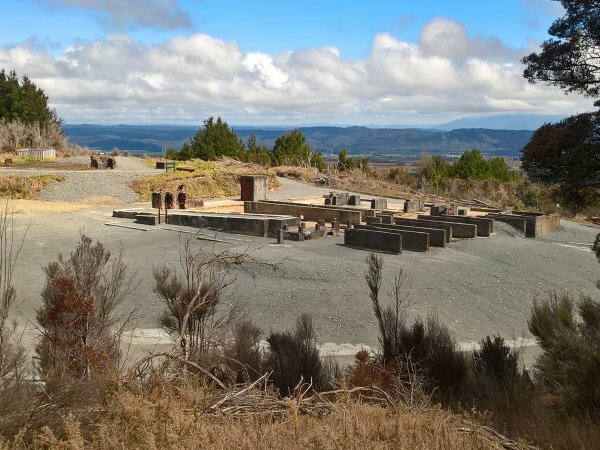 EnviroNZ believes landfills provide the optimal solution for the secure storage of residual waste for most locations within New Zealand and will continue to do so for the foreseeable future. There is unlikely to be a ‘one-size-suits-all' technological silver bullet that outperforms the flexibility and cost effectiveness of an engineered landfill facility. EnviroNZ owns and operates a number of highly engineered landfill facilities. Each of these facilities has been designed, consented, constructed and is operated to provide a high degree of environmental protection along with providing social and economic benefits to the communities they serve. One increasingly important benefit from the landfill storage of residual waste, is the generation of landfill methane gas from the anaerobic biodegradation of its organic waste components. This methane can then be utilised for energy, either as a liquid or gaseous fuel, combusted to generate electricity or used as a raw material in chemical manufacture. In today's modern landfill, this gas is managed to ensure safety and to protect the environment. The gas is extracted from the landfill under vacuum via a reticulation network and used to generate electricity. Any extracted gas not used is flared. The production of gas within landfills typically increases as refuse is placed and then peaks as it decomposes. This is followed by a slow decline over subsequent years. The commercial lifetime of a landfill gas field is typically 10 to 20 years from closure. Back in 1989, EnviroNZ (its predecessors and partners) installed and operated the first landfill gas to electricity (LFGTE) systems at the Rosedale and Greenmount landfills in Auckland. Both of these landfills are now closed. At their peak, the combined generation from these sites was approximately nine megawatts (MW), which was sufficient electricity to power approximately 7,200 homes per year. The electricity was generated by burning landfill methane gas in Waukesha VHP 7100 series, 12-cylinder gas engines. Today, the gas generation from these closed landfills has reduced considerably as both facilities ceased receiving waste in the mid 2000's. Ten years later in 2016, the Greenmount LFGTE facility continues to generate approximately 1 MW, equivalent to the electrical demand of approximately 800 households. 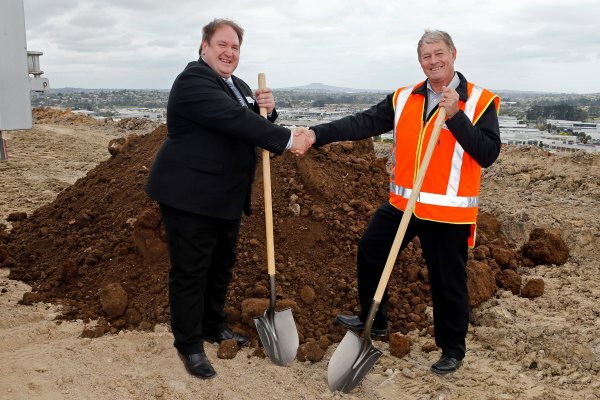 Now, at the end of its lifecycle, having played a critical role in residual waste management in South Auckland since 1980 and after 11 years as a cleanfill, the spectacular 54-hectare site has been returned to the local Council and will be developed into a public park. As demand for housing grows in Auckland and we see an increase in high-density housing, the park will provide greenspace with walking and cycling tracks for thousands of residents. 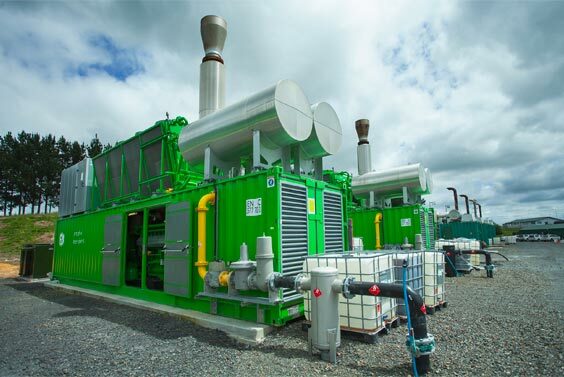 At our Hampton Downs Landfill facility (called "Hampton PARRC" for ‘Power and Resource Recovery Centre') we have a very new and modern landfill gas to energy installation, which consists of a gas processing plant and seven specialist biogas engines. Each containerised engine generates approximately 1 MW of electricity and together the seven engines are capable of generating approximately 7 MW, which is sufficient to meet the electricity demand from approximately 5,600 households per year. As the volume of residual waste stored at Hampton PARRC increases, the quantity of landfill gas will increase and more gas engines or additional landfill gas processing technology will be required to beneficially reuse the gas e.g. landfill gas to vehicle fuel. At Hampton PARRC, landfill gas is extracted from the landfill using a complex system of gas wells and connecting pipework reticulated to the gas processing plant, via a series of blowers which draw the gas from the landfill under vacuum. This negative pressure on the landfill helps mitigate fugitive landfill gas emissions and odour. Before the landfill gas can be fed to the engines, it needs to be dried to remove any moisture, filtered, compressed, reheated and any silica contaminants removed. The processed landfill gas is fed to the engines to generate electricity. The generation is equivalent to baseload as it is generally produced 24 hours per day, seven days per week, unlike other forms of renewable energy such as solar and wind. The 11kV electricity produced is transmitted under the Waikato River using the Counties Power Network to the Bombay grid exit point, where it enters the national grid network for distribution. The electricity is sold under a term contract at wholesale rates via an electricity retailer. Hampton PARRC is at the forefront of where we see the future. A landfill site, which is a regional residual waste processing and storage site. Hampton PARRC precinct is a large rural site of 350 Ha, appropriately consented with a buffer distance from neighbours of more than a kilometre. Already at Hampton PARRC we have the landfill gas to energy business, a greenwaste to high quality compost business using in-vessel GORE technology and a reverse osmosis leachate treatment plant that can recover up to 300,000 litres per day of high purity water. We also have a large worm farm, with approximately 12 million worms, to compost food waste. In the future we hope to build the country's first regional (Auckland, Waikato and Bay of Plenty) food waste anaerobic digestion plant. It's easy to demonise waste, but it is also important that we approach waste as a resource that with continued innovation, can have significant environmental and economic benefits to New Zealand. From one of the richest gold mines on the West Coast in the early 1900's to New Zealand's most toxic contaminated site, remediation work on the Waiuta Prohibition Mine involved a combination of decontamination work and historic preservation. Waiuta Prohibition Mine was opened in 1938 and was the site of a ‘roasting plant' where arsenic-bearing ore was heated to release gold. Residue from this process contained high concentrations of arsenic which accumulated on the ground throughout the site. Feedback from Mark Davies, DOC Director Operations, Western South Island; "The EnviroWaste Technical Services team has worked in partnership with DOC, bringing their expertise, their commitment to worker and public safety, and their integrity to bear in the remediation activities for the Waiuta Prohibition mine site. They have delivered a timely and cost effective remediation solution to very high standards that paves the way for DOC to re-open the site so that visitors can safely explore, understand and appreciate its historic value." Today marks a milestone for EnviroNZ returning the Greenmount landfill site to Council to develop it into parkland. 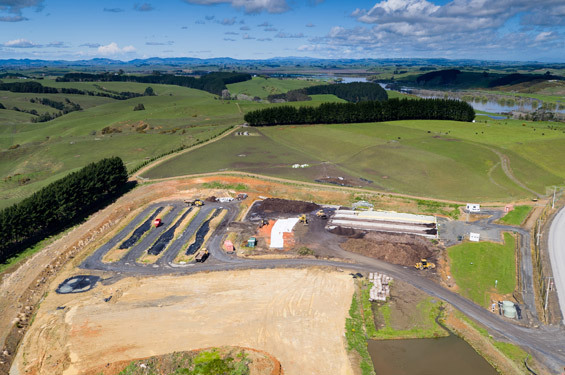 A truck delivered one of the last loads of topsoil to the site as part of an official ceremony attended by Lushington Estate members, Ngai Tai Ki Tamaki iwi, Panuku Development Auckland, the Howick Local Board and EnvironNZ staff. The 54ha former quarry site in East Tamaki was decommissioned as a landfill in 2005. Since then it has been restored to close to its original landform through an extensive fill operation. Once remedial works are complete, the site will consist of a 70m high grassed dome with a flat peak. This peak has unique and spectacular 360 degree views of Auckland. Managing Director of EnviroNZ, Gary Saunders, says the company's 11-year project to restore the site has been done with respect for the past and excitement for the future. "We are very mindful of the Ngai Tai Ki Tamaki tribe's historic guardianship and involvement here, as well as the generous bequest to the local Council by the Lushington estate in 1932. "Now, as we see the Howick Local Board take the leading role in the land's development into a place for everyone, EnviroNZ feels very proud to have been part of that process. Our commemorative gift to the people of East Tamaki to mark today's milestone is $10,000 of trees to enhance the park," says Mr Saunders. The Howick Local Board will continue its planning to develop the site into a public park, plans for which it shared publically in April this year. Plans include areas for play, to walk and cycle, native planting and features to enhance the landscape and celebrate its history. "This place has come a long way in recent years, and the board is excited about the prospect of being able to transform the land in to a public space for everyone to enjoy - including the many people who work in the Greenmount and East Tāmaki area," says Howick Local Board chair, David Collings. "We've got funding committed to allow the first stage of works to start once the land is available to work on but it could still be a few years before the full vision of for the park is realised, but today marks a very significant step towards that vision becoming a reality. The community is really looking forward to it." The park will opened to the public in stages as funding allows. In the New Year there will be works to complete closure and removal of infrastructure not required for the future to prepare the site for development of the park. 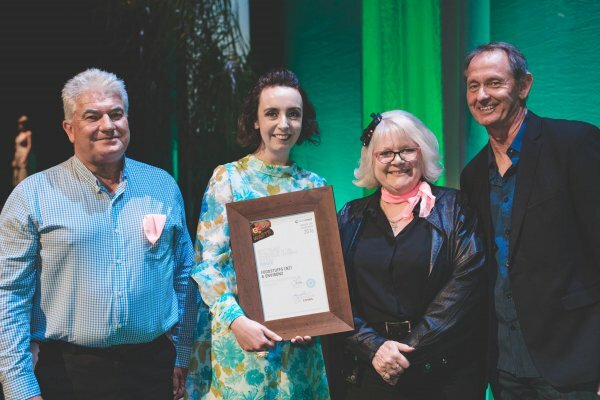 EnviroNZ is proud to have won a joint award with Foodstuffs, at the WasteMINZ Awards for Excellence last week, for Best Project or Initiative in the Commercial or Public sector. The initiative is the Foodstuffs' waste minimisation programme, developed by EnviroNZ in partnership, and is currently operated at almost 100 Foodstuffs' stores nationwide. Since 2014, EnviroNZ has worked closely with Foodstuffs to divert 80 to 90 percent of their store's waste away from landfills and into up to ten recycling streams. These include the longstanding recycling of cardboard, paper and plastic waste, as well as the newer repurposing of surplus food fit for human consumption, plus bakery and produce waste for animal feed or reprocessing. In the year to 30 June 2016, more than 23,500 tonnes of waste was diverted away from landfills. Foodstuffs reported that the programme isn't just good for the environment, but also makes financial sense. What was once seen as worthless rubbish is now a valued commodity, something other companies are prepared to pay for. Foodstuffs' average store is now saving more than $2,000 per month on its waste bill, which in turn ensures the programme's viability. Where possible the programme also aims to have materials utilised within New Zealand, thus further supporting the local economy. EnviroNZ has put a huge effort into the programme to ensure that Foodstuffs is seen as a leader in sustainability. We will continue to pursue additional innovations for Foodstuffs that provide a point of difference, but more importantly, we will also provide an environmental outcome that all Foodstuffs stores can be proud of. Congratulations and well done to everyone involved in helping us to achieve this esteemed award. Accepting the award on behalf of EnviroNZ is (L) Dave Elder, GM Market Development and (3rd along) Carol Dunn, National Account Manager. 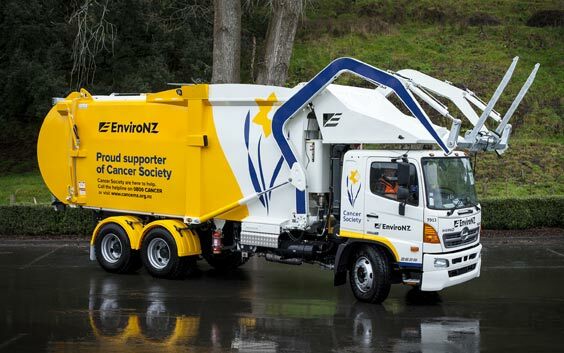 Waste collection in South and West Auckland is about to get a lot more colourful with the unveiling of a new EnviroNZ waste collection truck design in support of Cancer Society. Today the team at EnviroNZ's Onehunga corporate office got a sneak peek of the new sunshine yellow and dark blue waste collection truck, featuring a giant Cancer Society daffodil. The truck is part of a new sponsorship relationship with Cancer Society Auckland Northland that will see EnviroNZ provide sponsorship to the Society over the next two years. The sponsorship will go towards funding research into the causes and treatment of cancer, as well as providing support services for people affected by cancer. EnviroNZ managing director, Gary Saunders, says the 900-strong EnviroNZ team is proud to support a cause that touches the lives of so many. "Cancer does not discriminate. We all know someone who has been touched by cancer whether it be a family member, friend or colleague. EnviroNZ is proud to support Cancer Society and the incredibly important work they do in supporting Kiwi's living with cancer. We hope this will just be the beginning of a long-term partnership with Cancer Society," he says. Cancer Society Auckland Northland Chief Executive, John Loof, says support from organisations like EnviroNZ is important in helping to support the Society's crucial work. "We love the bright and beautiful truck and can't wait to see it out on the streets raising awareness for Cancer Society. Support from organisations like EnviroNZ helps us to continue to provide free practical support and care to people going through cancer treatment, fund vital cancer research and helps to reduce cancer for future generations." The truck was unveiled at a fundraising event at EnviroNZ's corporate office today, the day before Daffodil Day on Friday 26 August. 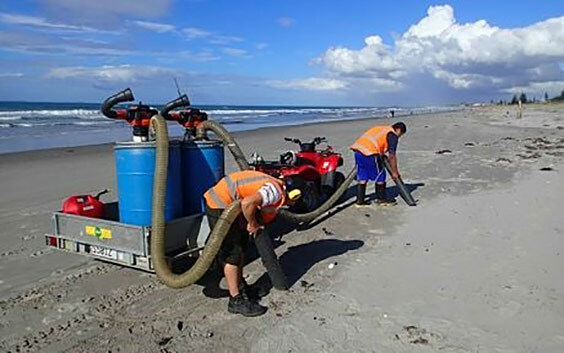 In September this year, EnviroNZ completed its contracted work on the Rena clean-up. We've had a presence in Tauranga since offering our support to Maritime New Zealand on the 5th October 2011, when the MV Rena, the Greek owned container/cargo ship, ran aground on the Astrolabe reef. Since then we've played a leading role in the clean-up, working alongside Maritime New Zealand, Oiled Wildlife Response Unit, Environment Bay of Plenty, Braemar Howells, Resolve Salvage & Fire and P&I Services. The work has been gritty, demanding and painstakingly precise - and we've been privileged to do it. Capturing, treating and either disposing of or recycling of over 2,000 tonnes of liquid waste. When you think about EnviroNZ, most people just imagine the rubbish or recycling truck coming down their street once a week. But our expertise is far broader than this, which is why we've been on-the-ground since day one, assisting other companies to play their part in helping to restore, as best as possible, the Astrolabe reef back to its original, prestine condition. EnviroNZ was the first operator in New Zealand to generate electricity from methane gas produced from the degradation of waste in landfills. We started in 1992 at the Rosedale and Greenmount landfills in Auckland where we had 4 megawatts and 6 megawatts of generation capacity installed respectively. Today we have 7 megawatts of generation capacity installed at our Hampton PARRC (power and resource recovery centre) facility in the North Waikato, where we produce sufficient electricity to power 5,000 households. Landfills produce methane gas as a result of the natural anaerobic decomposition of organic refuse. In today's modern landfill, this gas is managed to ensure safety and protect the environment. The gas is extracted from the landfill under vacuum via a reticulation network and used to fuel engines that generate electricity. Any extracted gas not used to generate electricity is flared. At Hampton PARRC the electricity produced is transmitted under the Waikato River to Bombay, where it enters the national grid. The production of gas within landfills typically increases as refuse is placed and then peaks shortly after the landfill's closure. This is followed by a slow decline over subsequent years. The commercial lifetime of a landfill gas field is typically 10 to 20 years from closure. We still generate approximately 1 megawatt of electricity every hour from the closed landfill at Greenmount some 10 years after its closure. 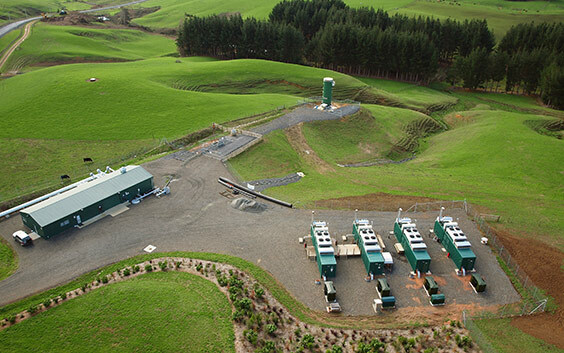 EnviroNZ is extremely proud of the role we have played in developing innovative gas to energy technology in New Zealand.